CLARKSTON, Michigan -- A woman facing homelessness while taking care of her parent got the surprise of a lifetime -- she won the lottery! Shawna Donnelly, of Clarkston, Michigan, said she played the "Lucky for Life" game -- and didn't check her numbers before going to bed. 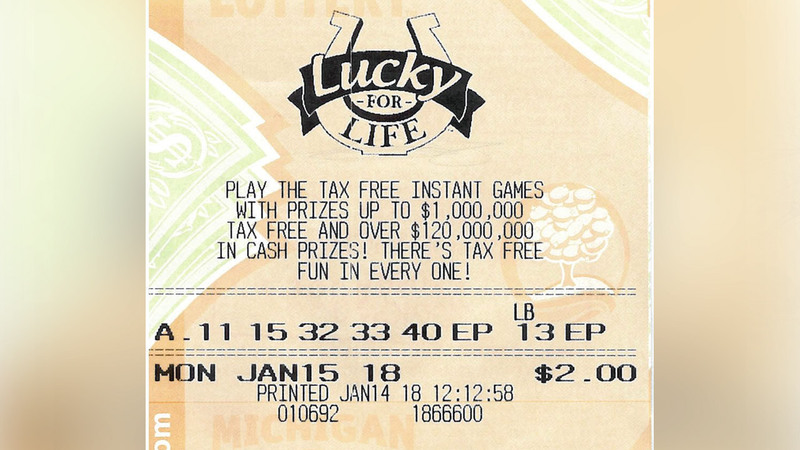 "I woke up in the middle of the night and had a feeling I should check my tickets," Donnelly told Michigan Lottery officials. "When I saw I matched five numbers, I must have refreshed my phone 100 times to make sure I really won!" She said the timing of the prize was perfect. "The last year has been the most difficult of my life," Donnelly said. "I've been taking care of my mom full-time, and it's hard to make ends meet. Winning this prize couldn't have come at a better time." She claimed the price Monday, choosing to get a lump-sum payment of $390,000 instead of $25,000/year for life.